Colorado-based songwriter Patty Clayton has been recognized as having “a voice as pure as the prairie wind." She brings her own brand of Western and Bluegrass music to HPR's Atherton Studio on January 12. Clayton's original Buckaroo Ballads, Bluegrass and Western Swing songs celebrate the present and the yesteryear of the American West. She is accompanied in the Atherton by members of Hawaiʻiʻs Bluegrass community Caroline Pond on fiddle, Steve Ryan on banjo, and Jan Willis on upright bass. ​Reservations may be made online or by calling the station (955-8821) during regular business hours. Tickets are $25 general, $20 for HPR members, and $15 for students with ID; online service fees apply. The Atherton Studio is located at Hawaiʻi Public Radio, 738 Kāheka Street. 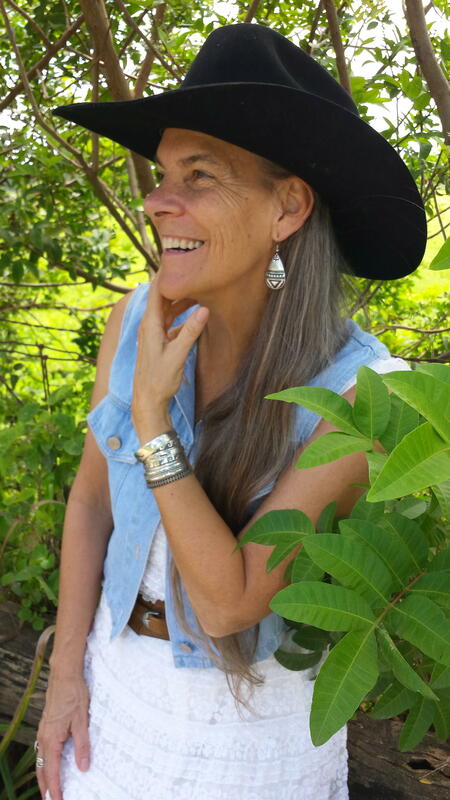 Doors open at 7:00 p.m.; music begins at 7:30 p.m.
Patty Clayton was raised in the West in a family rich with ranching history dating back to the late 1800’s. In a career that has spanned several decades, both as a solo artist and accompanied on occasion by her band Cimarron Wind, Clayton has performed with Jill Jones & the Lone Star Chorale from Texas, Denver-based duet Liz Masterson and Sean Blackburn, multi-award winning vocalist Juni Fisher from Tennessee, and more. She has also been the featured opening act for Baxter Black, Don Edwards, and Ian Tyson at various gatherings throughout the Western United States. Clayton has garnered nominations annually for her vocal talents and was presented with a Western Swing Album of the Year Award by the Western Music Association for her most recent full CD Dancin‘ In Denver. Her first single, "Swingin’ On A Gate," received the most number of airplays on Western Radio on its release in the first quarter of 2016, and remained among the top ten through the summer of that year. The Western Music Association named her Female Performer of the Year, and she was also presented with the Will Rogers Award for Western Music Female Vocalist of the Year by the Academy of Western Artists.